Traditional Print vs. Digital Marketing: Can it Be Both? As technology continues to develop, alongside the way we engage with it, marketing strategies and techniques must evolve to keep up with customer activity and behaviour. For many, they jump to the conclusion that print is out-dated and rendered ineffective. But, any good businessperson or marketer knows that print and digital marketing need to work in conjunction to support a solid and effective branding strategy. Without good printed collateral and material, your business risks becoming unrecognisable and forgettable. Without good digital marketing strategies and campaigns, you might be missing out on a whole chunk of business online. At A Team Printing, we provide high quality printing services to support your digital marketing efforts. As experienced corporate printers, our professional printing services craft sophisticated and premium products tailored to your designs. In order to stand out from the crowd, clever and innovative marketing is essential. Think about your business values and what makes you who you are and use this to your advantage. Utilise your quirks and uniqueness to create eye-catching digital and printed marketing collateral that tells your story. Genuine marketing material that doesn’t abide by trends always gets people talking and makes your brand memorable. Our social media feeds, inboxes and digital worlds are bombarded with unsolicited advertisements and messages. This makes us tend to ‘zone-out’ or completely overlook content from businesses and brands. Powerful, memorable and permanent – print isn’t going anywhere. When it comes to making your business name stick, print comes out on top. Instead of an advertisement or social media post lost amongst the masses, printed collateral demands full attention. From holding a printed flyer in their hand to reading a poster from afar, you can capture the attention of your customers with print. Unlike digital media, printed marketing collateral occupies a physical space in the world and requires the attention of the customer. Print marketing and digital marketing coexist in their own lanes, providing businesses with powerful yet unique tools to target different markets and evoke different responses. While a Facebook campaign may be effective in drawing new attention to your business, a mail-out discount offer can actually get people to engage with your content. And, when the two work together, magic happens. When it comes to creating your marketing strategy, be sure to incorporate both digital and print techniques. It isn’t just one or the other; both offer valuable and unique benefits to fill in gaps within the market. Establish your business with effective branding. At A Team Printing, our corporate printers help you compliment your digital marketing strategy with professional printing services. Specialising in high quality printed collateral, including business cards, flyers, posters and more, we solidify the professionalism and expertise of your business. 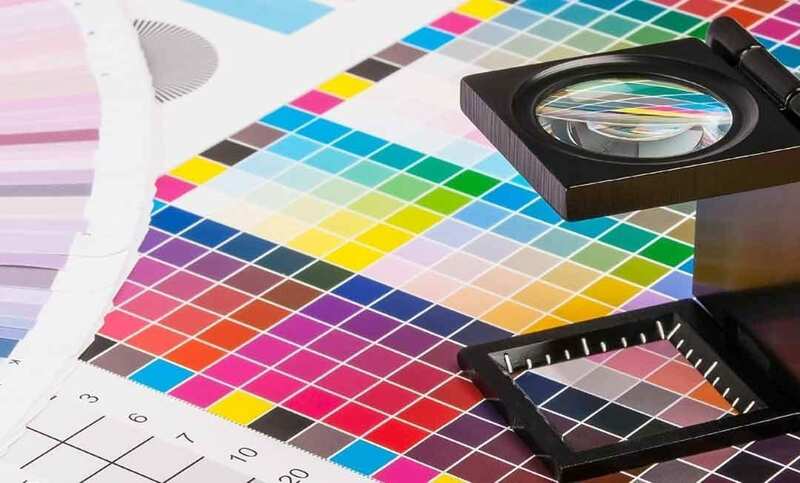 Learn more about our range of professional printing services. Contact us on (08) 9478 3188.